Zombie runs and obstacles courses may be just too strenuous for some of us, but what if we want to join in on the hoards of fun? How about a pub crawl instead? You don’t even have to pretend to stagger around, moan and spew fluids! It’s the ZOMPOCALYPSE! If you want to be a part of what is described as "the biggest pub crawl in the known universe," this might be the event for you. Necessities include, "blood and gore, ripped or tattered clothes, and a strong desire to turn the night of the living dead into a rocking, fun night of the living dead." Sounds easy enough. 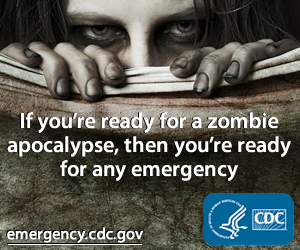 This is one contagion we can get behind and it starts this May 4. You can find your city (there are lots of participating cities) and you can sign-up to get info. Let us know if you’ll be joining the fun! 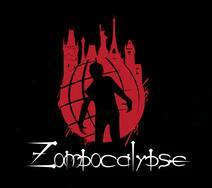 Although, one bone to pick (pun intended): Are we spelling the Zombie Apocalypse as "Zombocalypse"?